These merchants are honing their craft in East Bentleigh. To be honest, Centre Road in East Bentleigh isn’t the kind of place you would write home about. Littered with graffiti-strewn brick and weathered signs, it wasn’t until new cafe The Merchants Guild came along (emerging in the place of an old $2 shop), that the strip found itself a destination point in which to gather, eat and socialise. The new establishment from Mario Minichilli and Vincent Conti (the team who brought us the original Inkr7) is an industrial delight in an otherwise barren landscape – not dissimilar to Inkerman Street before they put their touch on it. With its wooden checkerboard tables, exposed kitchen and considered menu, it’s a cool and comfortable place for locals to catch up for breakfast or lunch. The food (prepared by chef and co-owner Paul Davies) and drinks are served in style. 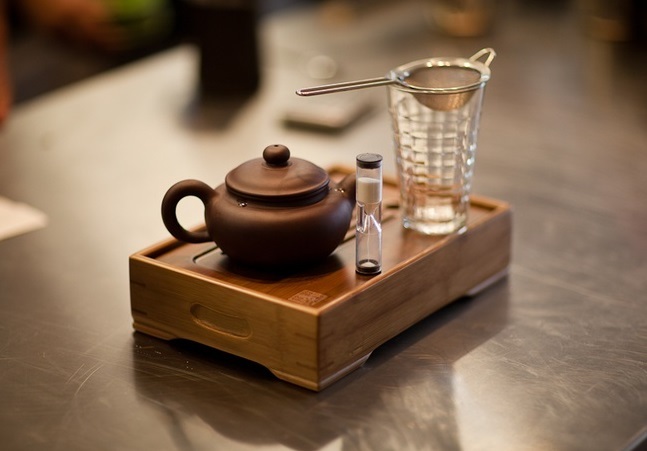 Meals are presented on wooden platters, egg timers accompany teapots (ensuring the tea brews for the ideal length of time), and clever touches like jalapeno pesto and rotating variations of hollandaise keep things interesting. Mileto’s restaurant and deli in Windsor is named after the family that owns it, runs the place and lives upstairs. 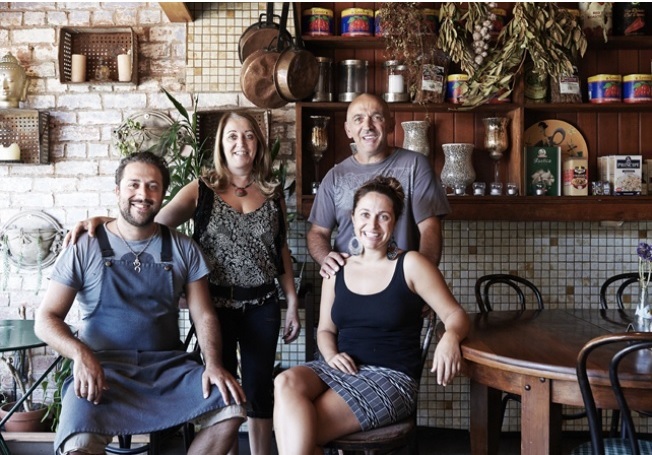 Managed by Laura and Pepe Mileto, the humble eatery is run like a family home, with help from daughter Sarah on the floor and at the counter, and son James manning the coffee machine. The secret of the Mileto’s success is their ability to nurture their clientele, just as they would their family unit. Regulars are greeted by name and dishes like minestrone and focaccia are made in-house daily. “Our customers come here and they feel very welcome, like they are having a meal in their own home,” says Laura. Though he has never had a dog himself, he couldn’t help but be drawn on his runs around the Lake of the Isles in Minneapolis to the relatively new phenomenon of the urban dog park; and the sea of dogs that inhabited them. In fact, he often found it rather therapeutic remaining motionless for hours on end whilst the animals around him went wild. Crouser’s strong aesthetic is far from the saccharine soaked displays we so often see of perfectly groomed golden pups playing with balls in ribbon-threaded baskets. 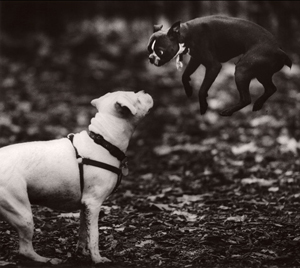 These dogs were shot as they really are, raw in monochrome. Yes, the images are intense, however they are not entirely dark, and are often tinged with humour. Crouser continues to hone his “magical” craft, and admits he is constantly learning and improving, publishing his works for others to see and consider, but ultimately embarking on a very personal journey. With his camera now pointed on his next project The Ranch (a series depicting the disappearing world of cattle ranches in the Colorado hills), it’s a certainty his intelligent aesthetic will be thriving for years to come. 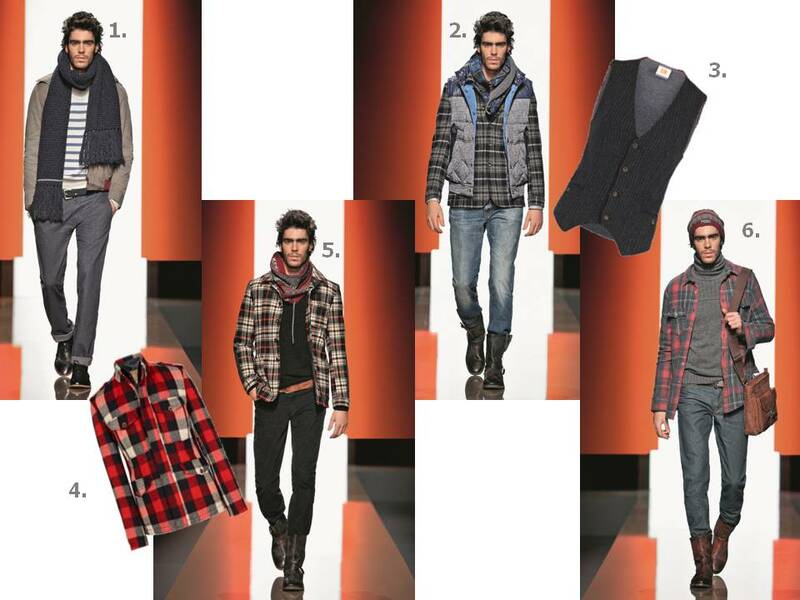 Guys, get savvy this season with all the latest catwalk looks. Despite the sunshine that refuses to dissipate (and thank goodness for that), it is time to face facts that winter is on its way, and our wardrobes need to be adjusted accordingly. While it may seem that for a bloke to be fashionable he must be decked solely in wild catwalk gear, the reality is they can rock the trends and feel good about it in the process. For Autumn/Winter 13, colour made a valiant appearance in all manners of ways from slacks in rustic hues, pastel knits and bold blazers. 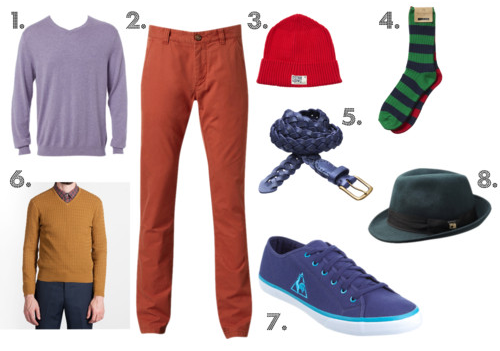 Pair autumnal browns, reds and yellows all together, or go safe with a coloured jumper and jeans or a vibrant fedora. 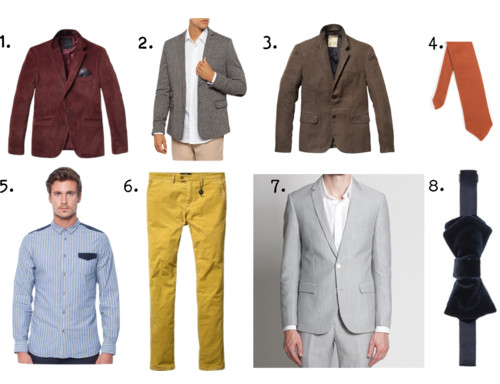 Maybe even channel your inner hipster with a colourful blazer and rolled up chino? Prints were also awash on the runways, with jumpers and accessories leading the charge. 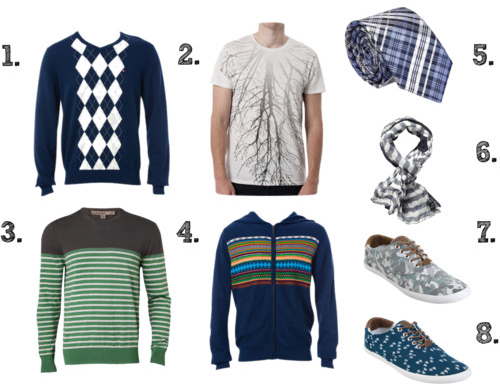 Camouflage, argyle, abstract-you name it, it was there. While the ladies have embraced the trend whole-heartedly wearing everything from printed pants to clashing styles; the guys are less obvious and are best suited to a capricious tie or a vivid pair of canvas flats. Autumn/Winter is also a time for textures, an opportunity to break through from the doldrums of mere cotton and denim. Warmth does not just mean wool. Why not pair your jeans with a tweed or velvet jacket? Or give jeans the flick all together in favour of stylish corduroys. This is a trend that will stand the test of time and will implement maximum effect with minimum effort. 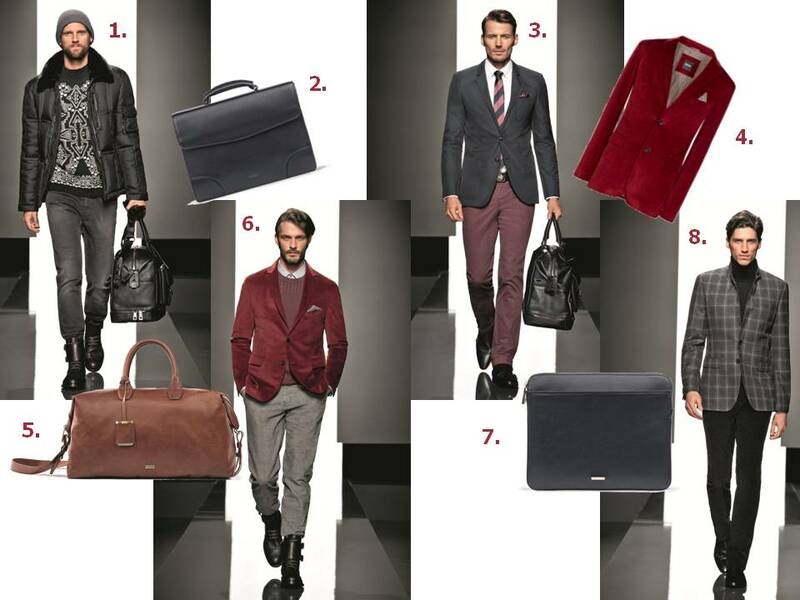 The name Hugo Boss is one steeped in luxury; a brand that continues to produce iconic ranges season after season. For Autumn/Winter the collections are no different, with BOSS Black and BOSS Orange adorning men and women in timeless classics, that stay fresh and exciting but still true to the Hugo BOSS aesthetic. This season, the sophisticated BOSS Black Womenswear line pulls from Old Hollywood, creating a series of garments perfect for any confident modern woman. Luxe fabrics in monochromatic hues are punctuated with hits of feminine rose and ocean turquoise, and outfits are completed with animal-print heels and handbags with golden hardware. Elegance at its finest. BOSS Black Menswear retains its sleek, high-quality demeanour this season whilst embracing an almost bohemian nod to 1950’s New York and the thriving artist scene of the time. Butter-soft leather jackets hug chunky knits in Autumnal hues, and manbags in classic styles prove the ultimate accessory. For Autumn/Winter, BOSS Orange Womenswear pays homage to folklore traditions and references fashion, literature, music and dance of the era. Volume plays a key role here and rustic accents dominate. Think rabbit fur jackets in wine red, leather tasseled bags and earth-hued patterns that would make Joni Mitchell melt. What woman doesn’t love a truly masculine man? The Autumn/Winter BOSS Orange male takes his cues from rough and ready wharfies, replete with plaid shirts, sturdy leather boots and washed denim. But while he may be rough round the edges, the interior’s all about style. Is there anything more flattering than a wrap dress? Seriously, no matter your size, shape, or height, there is a wrap dress out there that will give you a waist where there was none, boost your bust discretely, and hide those pesky lumps and bumps from sight. Each season, our very own wrap queen Leona Edmiston brings us a series of these dresses that will remain staples in your wardrobe for both work and play until the end of time. And if the wrap dress is not your thing don’t fret-there’s plenty more gorgeous goodies to be found from Leona. Tom Scott and Jackie Rosenthal know a thing or two about fashion. Jackie worked for many years as Sales Director and merchandiser for several fashion houses in both New York and Paris, and Tom spent seven years at Ralph Lauren before starting his own line of atypical knitwear in 2001. The two met through a mutual friend one New Year’s Eve in New York and the two became fast friends. From here Rosenthal’s Coton De Tulear Hugo and Scott’s 12 year old Beagle Linus became modern muses for their stylish line of gear for the modern mutt, with Hugo playing inspiration for the hairy sweater and Linus modelling for their sleek website’s sketches (when he wasn’t angling for snacks that is). While they are inspired by art, film and modern design, each piece is made with a whole lot more.“Tom and I work a lot from a feeling, an emotion more so than a concrete reference. We hope to offer innovative, beautifully made products for dogs. 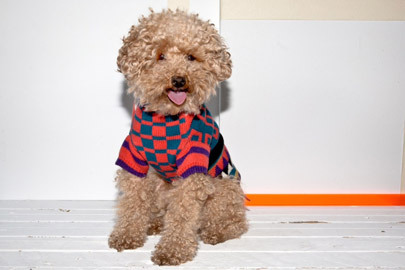 The company was started on the basis of creation, so we are constantly trying to make things in a way that is different from what you currently find in the pet accessory market,” says Rosenthal. While Ware of the Dog currently focuses on jumpers, leashes and collars, there are many exciting new challenges in the pipeline too, including a series of artist collaborations, international expansion and all new items for Fall 2013. There’s exciting times ahead and these two are doing it in style.